There they go again, finding solutions to problems that really don’t exist. Texas Lt. Gov. 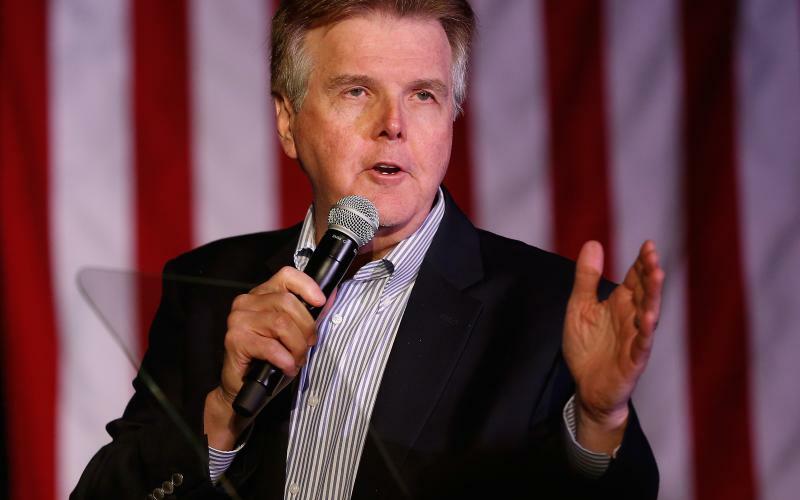 Dan Patrick has announced plans to introduce a state bathroom bill to the Texas Legislature that would punish local school systems for failure to restrict access to restrooms to people who are born with certain anatomical accoutrements. Transgender Texans will have to fend for themselves, therefore. I don’t understand fully a lot of things. Transgenderism is one of them. However, I do get that some among us identify with the opposite gender; boys think of themselves as girls and vice versa. Many of them are undergoing surgical procedures to match how they perceive themselves. I guess my question of Lt. Gov. Patrick is this: How in the world are you going to enforce this rule? Let’s say you’re a young man who is undergoing procedures to become a young female. You have to use a public restroom. Do you use the men’s room because you have certain male anatomy parts? Or do you slip into a stall in a female restroom, close the door, do what you have to do and then exit without anyone being the wiser? Let’s apply the same question to a young woman who’s going through the same change of identity. How does the state enforce such a rule? Is this really a problem that requires the state to invoke a legislative remedy? Is it really a widespread issue that demands the state become involved in an issue that could be decided by local school boards, along with local educators and administrators?